Hyundai Asia Resources Inc. (HARI), the official distributor of Hyundai vehicles in the Philippines, registered a positive year-to-date growth in Passenger Car (PC) and Light Commercial Vehicle (LCV) sales, growing by 12 percent from 30,469 units sold in January-November 2016 to 34,025 units sold in January-November 2017. Further breaking it down, within the said period, the PC segment grew by 7 percent from 21,637 to 23,167 units sold, with the top-selling Accent at the forefront with a phenomenal 34 percent growth from 11,156 to 14,899 units sold. Likewise, LCV sales rose by 23 percent, from 8,832 to 10,858 units sold. The flagship vehicle Grand Starex remains the biggest contributor with a 14 percent growth, from 3,371 to 3,832 units sold. 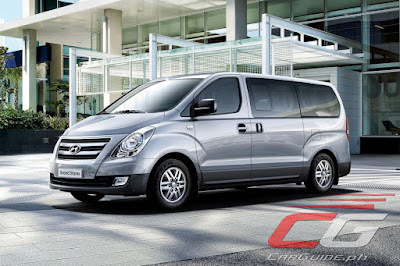 Meanwhile, the H-100 made a huge comeback with 59 percent growth, from 1,927 units to 3,066 units sold, capping the segment’s impressive performance and underscoring Hyundai’s commitment to empower local entrepreneurs with reliable and versatile mobility solutions. HARI expects to close 2017 with combined PC and CV sales of 37,500 units, solidly contributing to the automotive industry’s year-end target of 450,000 units.